I love the way food brings people together and adds joy and flair to life. Everyday eating becomes an opportunity to meet people, nurture relationships and explore cultures, countries, cuisines and communities. Fine Eating collects and curates ideas, inspiration and instructions for busy people with limited time, energy, budget….and calories! It’s full of easy ways to create extraordinary experiences – one meal at time! You can be your own chef, caterer, event planner and travel guide! As you read along you’ll notice a nod to healthy eating and a passion for India. As an Accredited Practising Dietitian I’m always looking for ways to enjoy good food as well as good health. But please do make sure you seek your own individual diet advice from an APD who knows you personally. And the passion for India? That all started with my first trip a volunteer health worker in 2010 when I unexpectedly fell in love with this hugely diverse and colourful country. I’ve now been back seven times and taken my family and friends. I’d love to introduce you to India too, and hope you enjoy the journey. All my experiences are self-funded unless I mention I was a guest. However, even as an appreciative guest, all opinions are my own. I’d love to know what you think and what you’ve found that works. So please do get in touch at michelewalton@yahoo.com and say hello! 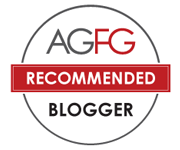 Very pleased to be an AGFG Recommended Bogger!! Thanks so much Gary. You are always so generous in the way you encourage other bloggers. I’d love to be part of this! You are so kind Gary! Thanks so much Gary, it’s so lovely the way you share and encourage! And likewise Sophie…very nice to meet you!